Scientifically based practices for retraining the brain's instinctive responses to stress. Our brains have evolved powerful tools for coping with threats and danger—but in the face of modern stresses like information overload, money worries, and interpersonal conflicts, our survival reflexes can do more harm than good. Modern brain research has helped us discover which contemplative practices have the most positive impact on our physical and mental health. 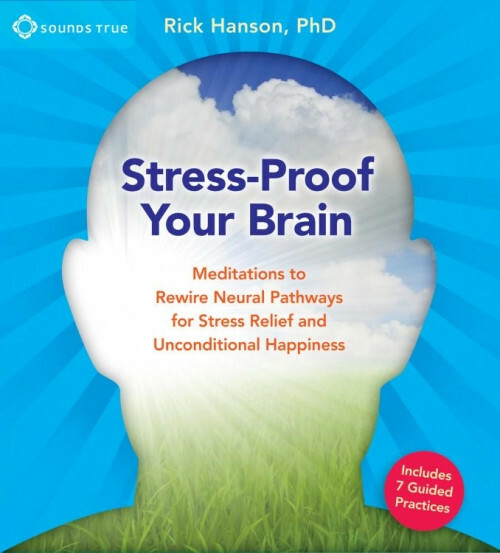 With Stress-Proof Your Brain, Dr. Rick Hanson brings you scientifically sound tools for finding freedom from irritability, worry, and overwhelm—by deepening your neurological capacity for happiness and wellness. These guided meditations help make Hanson's guidance in Hardwiring Happiness do-able. I really am getting a lot out of using them frequently.